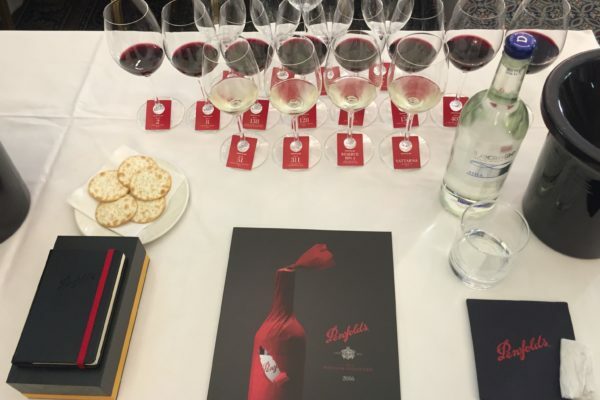 Cult & Boutique Wine Management were very privileged to receive an invitation from Penfolds to an exclusive tasting of The Penfolds Collection 2016 Preview, held at The Institute of Directors in Pall Mall on 29th September. Daniel Paterson and Spencer Leat attended, along with an impressive contingent of UK wine critics and writers including Oz Clarke (TV & Press), Steven Spurrier (Decanter), Anthony Rose (The Independent & Decanter), Sarah Ahmed (Decanter) to name but a few faces, as well as select members of the UK fine wine trade. 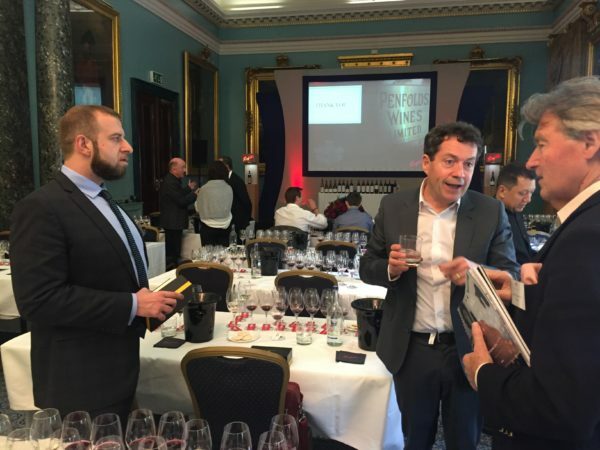 The preview offers the trade and press an opportunity to sample the latest Penfolds releases ahead of their official release in October and covers a broad selection of the range, from the bottom right to the top. 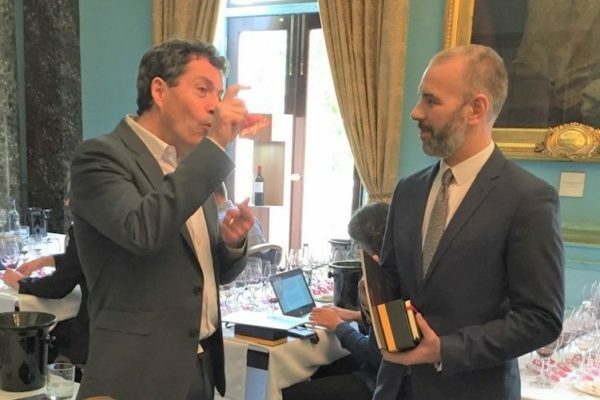 For the 2016 Collection Penfolds have teamed up with French Maison Saint-Louis, the oldest glassmaker in Europe and one of the most prestigious crystal houses in the world, to create some interesting pairings with their flagship wine, The Grange. Of the 13 red wines and 4 whites on offer we managed to whittle our favourites down to five wines from across the range, listed below in ascending price order. Trademark florals, zesty acidity and pronounced varietal flavour expression reinforce Eden Valley as a Penfolds Bin 51 Riesling region of choice. Will not disappoint. No doubt many ice buckets patiently await! Sub-regional pedigree re-defined, courtesy of Marananga and four of the six local growers who also contributed to its 2010 delivery. An oscillation of power and refinement, presence and poise. 40% of blend captured and nurtured in puncheon. Vibrant, vivacious and vital. At this stage Cabernet in winning in the 2014 Cabernet and Shiraz tumble… Sits at the defined / linear end of the structural spectrum, albeit still retaining a succulent and juicy texture, tempered by mouth-watering acidity. Things are getting serious in an understated St Henri sort of way! This wine may be initially missed on a busy tasting bench but once properly tasted, never forgotten. Reminiscent of the 2010, 1998 and 1976 St Henri’s – statuesque, brooding, complex and aromatically ‘Old Style’. All Penfolds 2013 reds released to date have benfitted from time in bottle. No exception here but okay to open now or will cellar for the next four decades, plus! Sometimes tasting notes such as these are difficult to articulate. Not this time. Channeling the 2010 Grange – an unfolding kaleidoscopic vinuos mosaic of charm, allure, character and cerebral reward. Complete. Stylistically, most closely aligned to the 1963 Grange and yet extolling it’s own personality. Luxury that treads lightly! 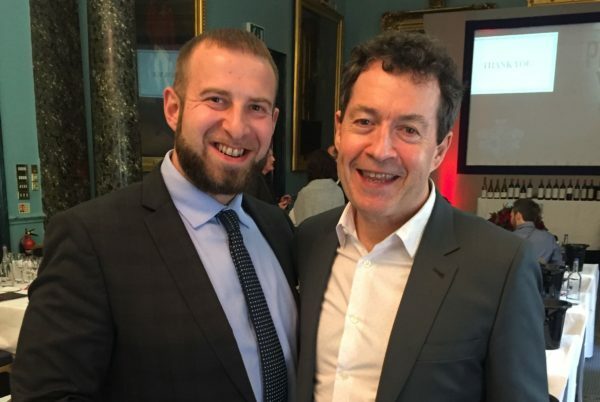 All in all we were very impressed with The Penfolds Collection 2016, aside from the usual suspects that clients will recognise from their portfolios, Grange & 707, there were some great wines from lower in the hierarchy that punched way above their weight. Its still too early to give full details but we have some plans on the horizon that will offer Cult & Boutique clients an opportunity to acquire some of these wines at very competitive prices – so watch this space. Daniel (left) with Peter Gago (right) and Steven Spurrier (far right) – Oz Clarke in the background!